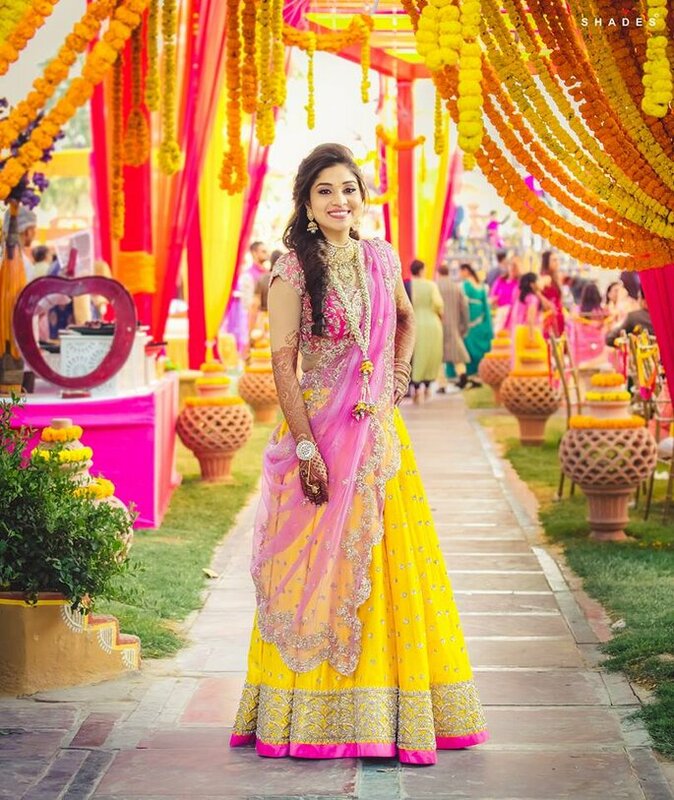 How to choose the mehndi outfit colour to make you picture perfect! One of the most important pre-wedding ceremonies is that of the mehendi. It is that occasion for a bride, which gives her the recognition of supposed to be a married woman. This mehendi is the symbol of being married and is very auspicious in the Indian society. 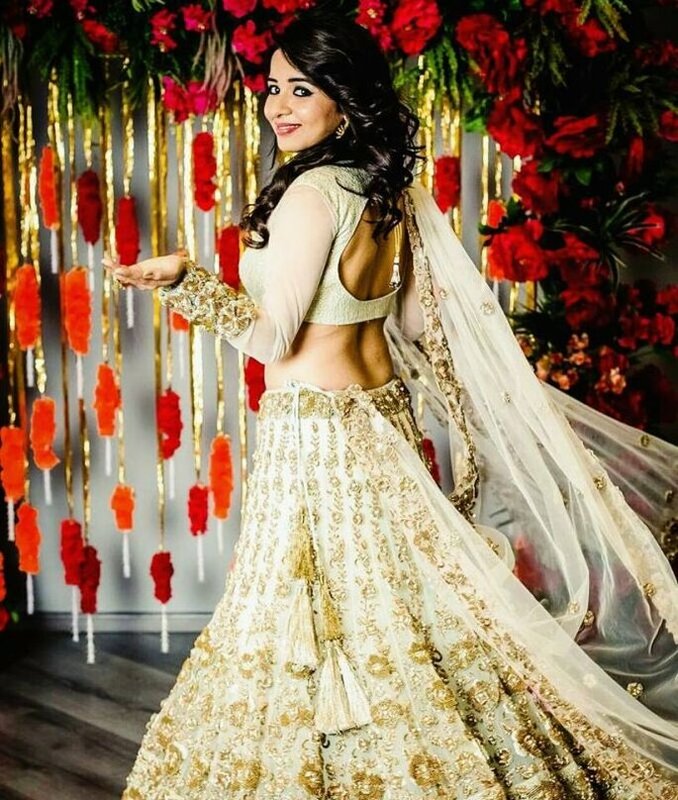 So for an occasion which is of such a great importance, you should also be prepared with the most amazing dress and Kalki Fashion will help you to choose. 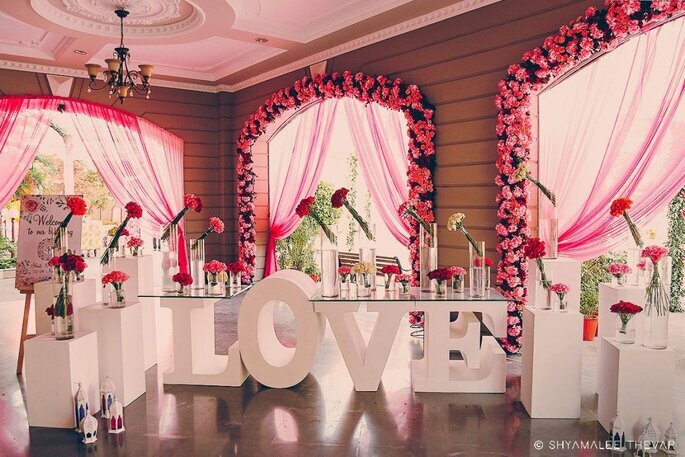 Wedding Planner: Shyamalee Thevar Events. The Mehendi ceremony is fun-filled and full of enjoyment for all. The live music, colorful costumes and thrilling dances, all make the ceremony incredible. 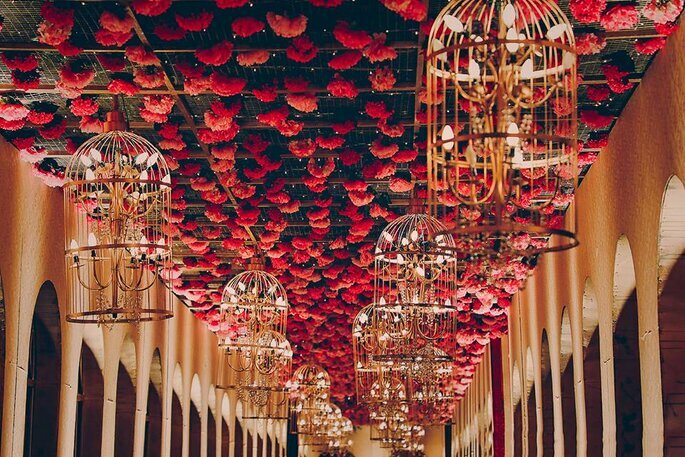 You as the bride-to-be must select a vibrant color for your attire by keeping your venue decor in mind. 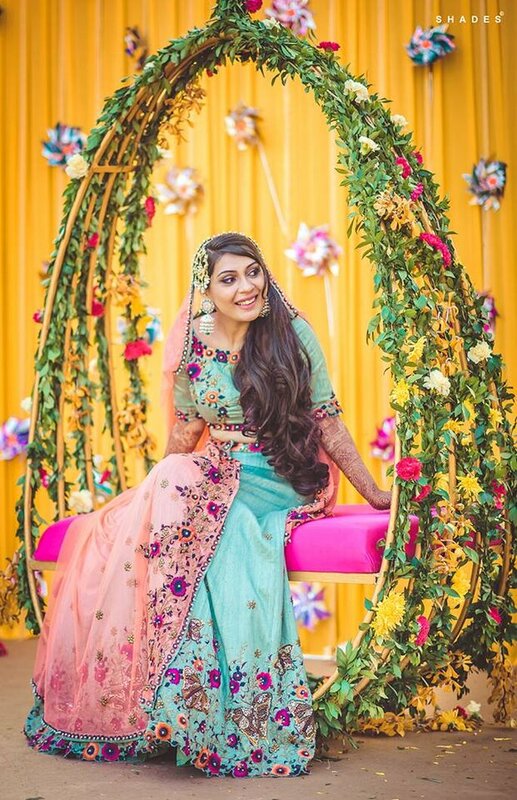 Shyamalee Thevar Events will help create amazing memories, Shyamlee creates everything gracefully as she believes in while designing a space is that: There should not be just 1 photo booth, where people can go and click images. Do up the space in such a way that each and every space becomes a photo opportunity. Bright colors like yellow, orange, magenta would look awesome and increase your beauty. This is the time when all the family members are in a feasting mood and they would altogether become ecstatic seeing you look stunning, in a pretty color costume. So first you need to select the color of your dress. This ritual is full of fun and frolic and a lot of gaiety all around. Your female guests would all be beautifully dressed up and so you, being the Princess of the entire ceremony, should be amazingly adorned. Yellow is a bright and expressive color. It provides you a radiant look and enhances your glow. Sometimes when you wear certain colors, your mood becomes cheerful and you enjoy every little thing that is done. 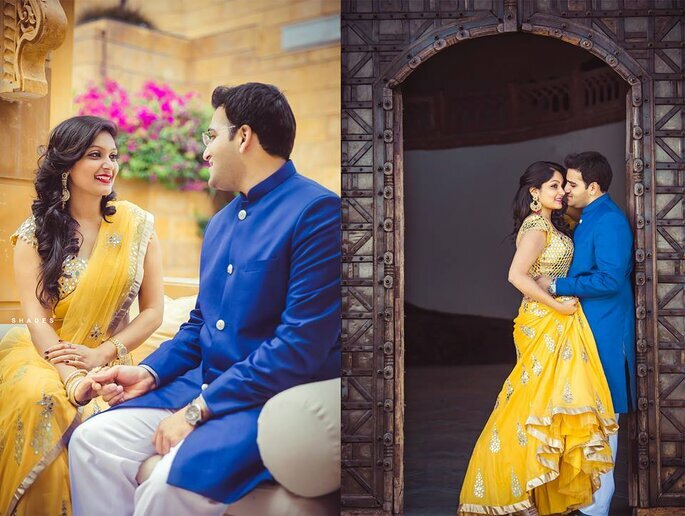 So yellow can be your color at your mehndi ceremony and Shades Photography will capture your best moment. When it comes to choosing a color of the outfit for an important rite, then it really becomes confusing. We find ourselves stuck with a wide range of variety. One color which might look stunning for your mehendi day, is Orange. The color itself brings life to the fading mood. Even when somebody sees you wearing such a dynamic color, they also feel overwhelmingly delighted. All your guests would definitely praise you and appreciate your choice of color. 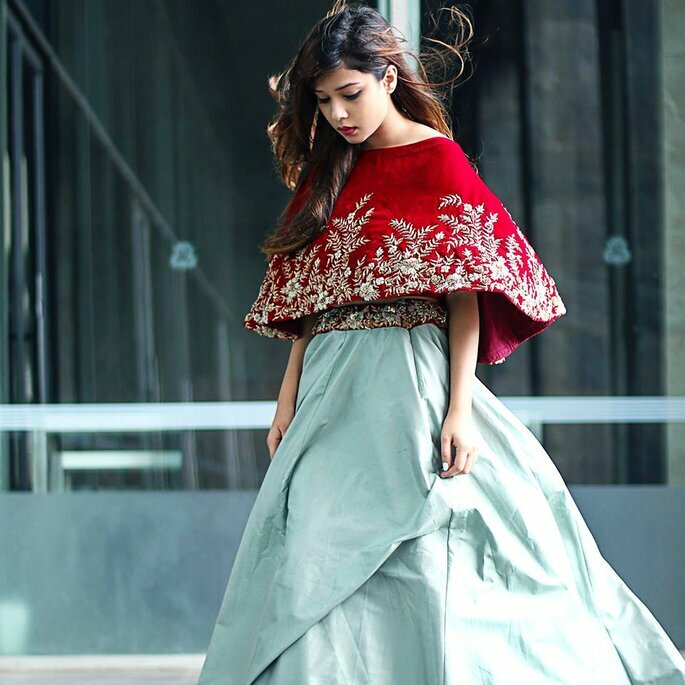 When you are all set for your Big Day, one basic question arises in your mind and that is “what dress to wear and which color to select?” Although there are many colors, yet one tends to get puzzled-up so as to what to choose. You can go for a charming and striking color that is magenta or even pink. 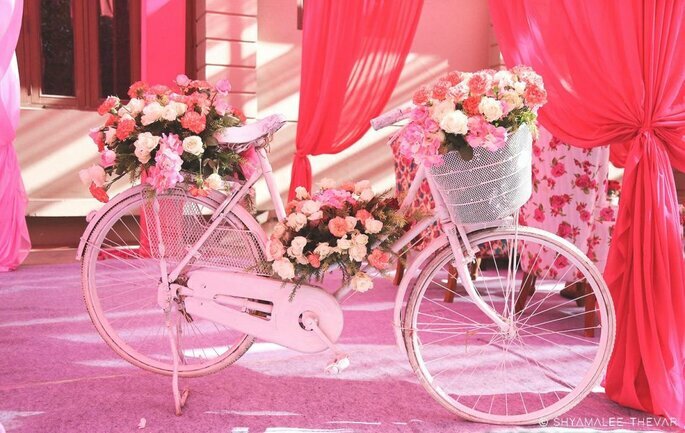 These colors would give you a fantastic look and you would appear a real princess at the time of your ceremony. Be careful, that you do not wear too many accessories with your outfit because this is a pre-wedding ritual. Keep the ceremony, an event filled with fun and relaxation. In this candy look you will appear gorgeous. If you are the fan of this color, then you can undoubtedly choose this color. 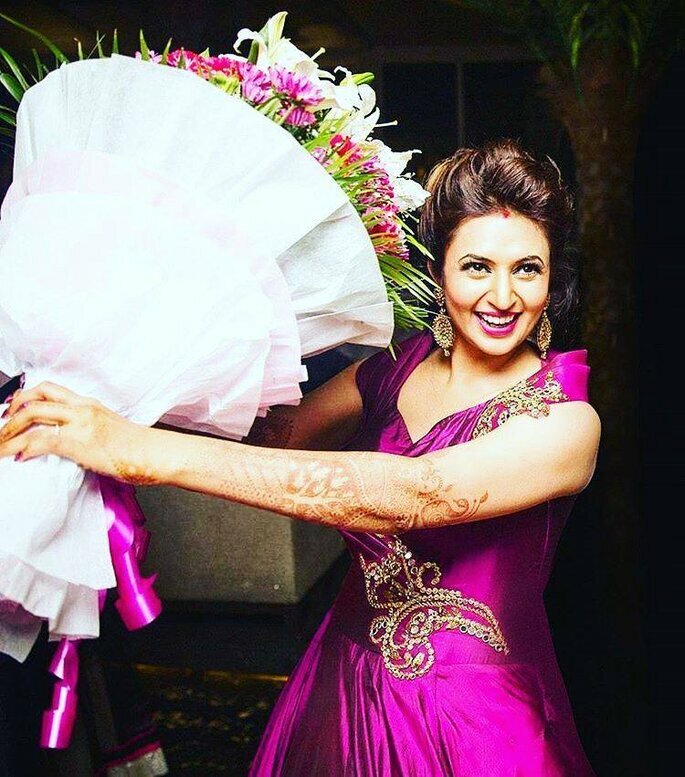 Many brides are now selecting dark green color for their mehendi ceremony. This color goes well with both, dark or fair complexions. This would give you a fabulous look and you would win the hearts of all your esteemed guests. Instead of dark green color, you could select a fluorescent green dress which would be an amazing choice. Shades of purple are also in vogue now a days. Most of the brides go for this color as it has a royal touch and flavor. The outfit which you choose to wear at the mehendi function could be dark purple or may be a lighter shade that is mauve. This color looks elegant and glamorous in the chiffon or net fabric. This color outfit, worn with less accessories gives a regal look. This could very well amaze your guests, who would be full of praises for you. 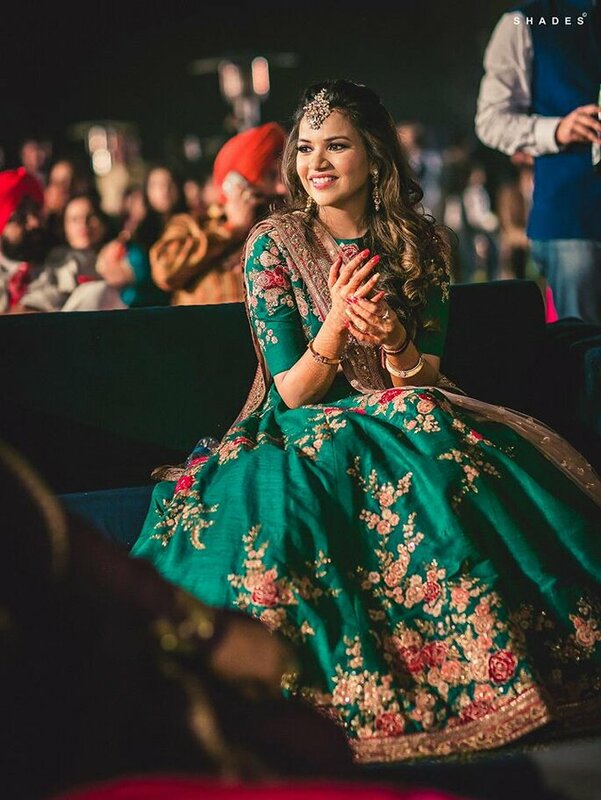 Since mehendi is an integral part of the matrimonial celebration, due care should be taken for selecting the dress as well as the color of the attire. The dress, at this time has to be glamorous but at the same time elegant. It should be worn with less accessories as this would startle everybody at your important function.